Welcome to the first stop on the blog tour for the Bell Awards! All this week, readers will have the opportunity to hop across a number of outstanding youth services and children's literature blogs to find out more about this new early literacy book award as well as some great go-to books that reinforce early literacy practices. It all starts now! What are the Bell Awards, you ask? The Bell Awards are a new annual endeavor designed to recognize picture books that strongly support young children’s early literacy development. Books recognized by the Bell Award will somehow thematically feature the five early literacy practices: reading, writing, singing, talking, and playing. These recognized books will represent excellent choices for parents and caregivers to share with their pre-readers; the titles will model positive co-reading habits and support them as they engage their children in activities that build reading readiness. 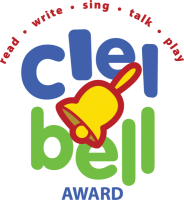 While the Bell Award was created and will be administered by Colorado Libraries for Early Literacy (CLEL), note that this is not a state-specific award. The Bell Award can have an impact on libraries and classrooms across the country, helping to identify the best books for early literacy practices in a publishing year. It is hoped that children’s librarians and other professionals will discuss the titles nominated for awards in any of the five practices--after all, it's this type of discussion that fosters sharing and learning about early literacy best practices. I know I'm always up for seeing what my colleagues are using in their own early literacy efforts. 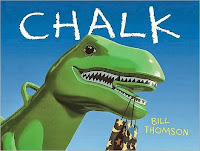 Books that Model the Early Literacy Practice "Write"
What can you create with a pencil and a blank page? 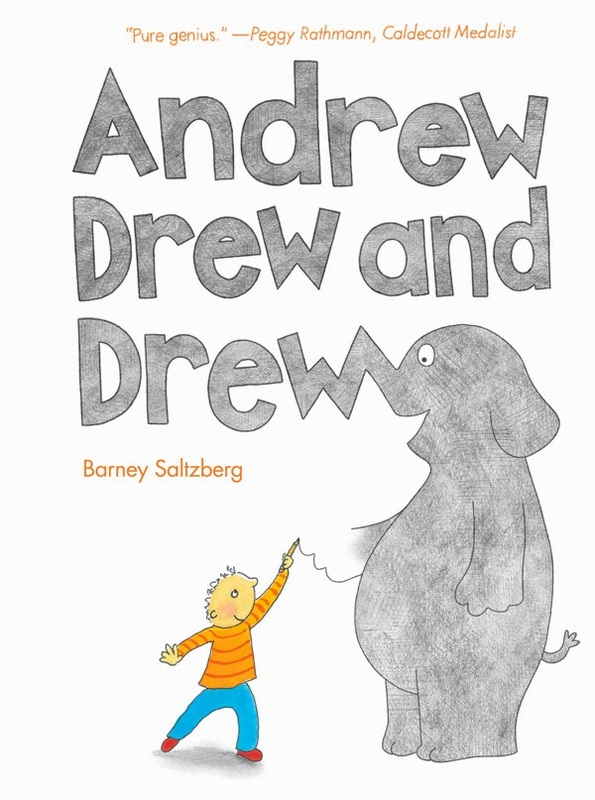 As Andrew demonstrates throughout the story, which centers around his wonderfully imaginative drawings, the sky's the limit when it comes to creating things on paper. This book does a great, subtle job of illustrating that marks on a page have meaning, and that the person who makes the mark can decide that meaning. 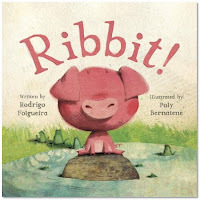 This beautiful wordless picture book works best one-on-one or with small groups; I like to ask lots of questions about what's going on in each picture. The basic premise is that children draw pictures with chalk, and those pictures come to life. What an imaginative way to show that what we put on a page represents real things in the world. Farmer Brown has gone on vacation and left his brother in charge of the farm. His brother is supposed to followed the written instructions left for him, but unfortunately the mischievous Duck has found a pencil and is writing odd instructions of his own. The animals get all sorts of special treatment--pizzas, movie nights--because of the words in Duck's notes. 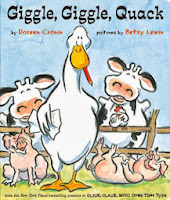 When I share this story with a group, I use my finger to point to the words I'm reading in Duck's notes to emphasize that the words I'm saying are on the page. At the end of the story, I always ask how Duck was able to get the farmer's brother to do all these silly things: because he wrote them down. This book may not be the most obvious one to model the practice of writing, but I like to use it in two ways: the minimal text per page makes it simple to point out that the words on the page are the ones I'm saying; and the story is funnier when you read the notes the boy leaves for his father on the last page. 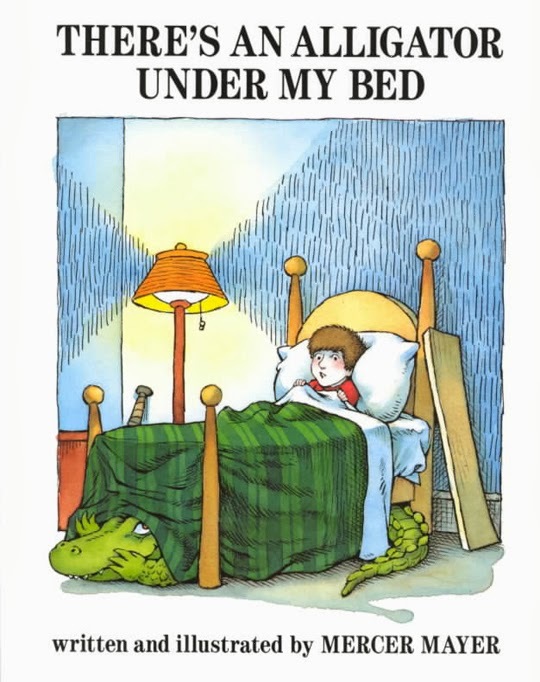 I always talk about these notes at the end of the reading, and I ask what the kiddos would write on a note to their parents if there were an alligator in the garage. This cheeky book is great with preschoolers and early elementary children who know or are learning the alphabet. Moose is meant to be part of a production that features all letters of the alphabet, but he has no patience and starts to mess things up. Not only does this book promote letter knowledge--integral for learning to write letters and words--but Moose's funny signs and other written markings throughout the book are great examples of writing to communicate something. And do note that the nominations period for the 2014 Bell Awards ends November 15, so make sure you submit your nominations for any of the five practices by then! The winners will be announced February 5, 2014. While I've not read a ton of steampunk, my few recent forays into the subgenre have been marked with great stories and page-turning premises. In short, I've found steampunk delightfully imaginative, and I couldn't see why school-age kids wouldn't have a similar reaction. Thus my school-age steampunk program was born. The first element I include in any of my unprograms is something that ties to the library--in this case, book talks. After discussing what "steampunk" means and where it got its name, I shared a few of my favorite steampunk books with the assembled kiddos in the form of book talks. I consider Matthew J. Kirby's The Clockwork Three, The Expeditioners and the Treasure of Drowned Man's Canyon by S. S. Taylor, and Lemony Snicket's A Series of Unfortunate Events to be great examples of steampunk for the middle grade reader. I had copies of these books, both print and audiobook when available, for kids to check out if their interest was piqued. (Quite a few copies did make their way out of the library post-program). After our book talks, I got the energy level pumping by introducing a game I called "Airball." One might liken the game to ping-pong with balloons. 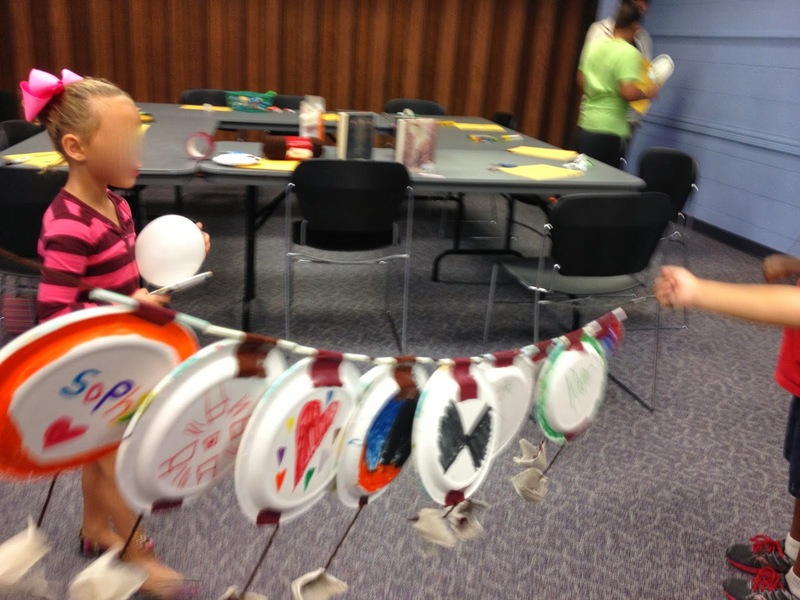 I made paddles by fixing jumbo craft sticks to paper plates, and we swatted at balloons in an effort to keep them off the floor. Things got really interesting when, with 7 balloons in play, we formed a wide circle and planted our feet on the ground. All of the kids had fun trying to keep the balloons aloft swinging their paddles only in the radius of their arms' reach. In talking about steampunk books, we discussed how many of these titles take place in interesting or fictional places, and thus they include detailed maps. Thus we got down to the business of making our own maps, marking spots for treasure or warning about villains and giving places ominous-sounding names. Quite a bit of creativity was on display in the creation of these steampunk maps, although the younger children didn't have as much interest in adding details to theirs. 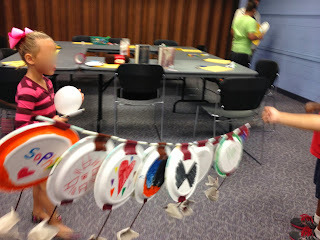 Our final activity was to make those titular airships. Using paper plates, a straw, a single-egg portion of an egg container, yarn, and duct tape, we built and decorated our airships. To make them fly across our room, we threaded them onto some string using the straws we had taped to their tops. Pretty soon we had a colorful airship parade making its way across our programming room. We finished our activities a few minutes past the 45-minute stated program length, but as everyone was enjoying themselves, no one seemed to mind. In fact, a few of the kiddos, after perusing the steampunk books on display, stayed in the room playing Airball a little longer. A successful program, by one definition, is one where the activities facilitate sustained engagement. Have you offered genre- or subgenre-focused programs for the school-age kids who use your library? What works for you? Wednesday, October 2, 7:00–9:00 p.m.
Join fellow conference attendees for impromptu challenges and demonstrations as librarians get to show off their mad story time skills. The purpose of Guerrilla Story Time is twofold: 1) allow youth services librarians to get advice, new ideas, and inspiration from peers; and 2) demonstrate to non-youth services librarians that story time is much more than “just reading to kids.” Everyone is welcome to watch, and participation is encouraged! Thursday, October 3, 2:00–2:45 p.m.
Have you considered adding digital elements to your story times? Are you looking for research to justify purchasing a programming tablet for your library? Tablets are a story time tool just like a puppet or a ukulele; they allow library staff to develop children’s early literacy skills while engaging them and their caregivers in new ways. This session will explore the benefits of adding tablet technology to programs for preschool children. Participants will see demonstrations of ways to add digital elements to the story time programs they already offer, including creating and using digital felt stories, sharing books and apps with interactive elements, supplementing themed programs with non-fiction resources, and making songs and rhymes more accessible to audiences. The session will also highlight some of the exciting new programs libraries can offer when tablets are added to the story time toolbox. If you'll be at MLA, I hope you'll say hello! I'm over on the ALSC Blog today sharing details of my Boat Race Science program for school-age children. There's science, building, and a lively competition to do one's best. 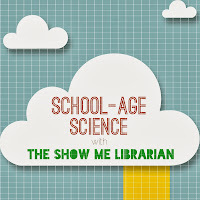 Head over to the ALSC Blog to check it out and make the program your own! First off, let me say thanks to the folks who attended the live program session that Jennifer Hopwood and I presented yesterday as part of the Global 2013 STEMx Education Conference, which was a virtual conference. Participants had great questions and comments, and I look forward to continuing this STEM/STEAM discussion across other forums. If you didn't get to see the live session, you're in luck--it was recorded for your viewing convenience and pleasure! Check out the archived session here. I also quickly want to say a big "Thank you" to the organizers of this online conference. I cannot imagine the logistical acrobatics necessary to make a worldwide, three-day, virtual conference like this happen, let alone to arrange it so well that no problems arise. The folks at STEMx managed to pull it off, however, and I can't wait to continue to look through the lists of archived sessions to see what other professionals are doing with STEM. Thank you to the organizers, the sponsors, the presenters, and the participants. You're helping make STEM that much easier for all of us to share with kids. I love sharing this newer story for a number of reasons. 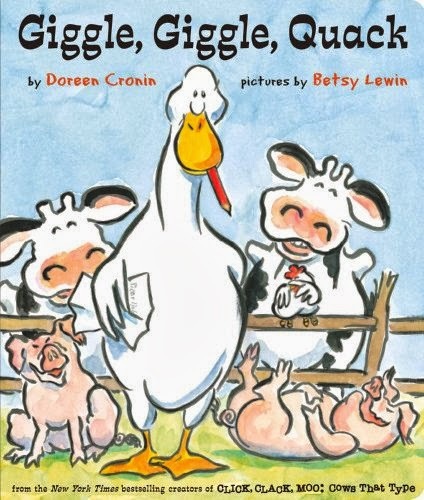 It allows me to engage the kiddos in making animal noises that relate to the page, and it also boasts a simple story about how, sometimes, we all just want to make a friend. 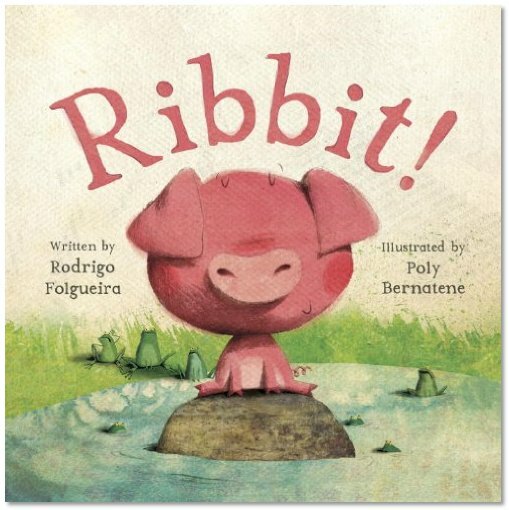 When I share this story, the children and I make ever-more-dramatic "ribbit!" noises until the climax of the tale, at which point we have a new sound to make. This song gets everyone up and moving making silly motions like a variety of birds. How many different types of birds do 3- to 6-year-olds know? Judging by their enthusiasm for this song, they know plenty and are happy to imitate them. I've mentioned before that this is a favorite go-to shaker song for me. When we're in the bird song mood, how can I not include it? I love the Felt Board app, and I'm just getting the hang of really using it in appropriate story time settings. With its variety of felt shape options--people, scenery, animals, costumes, common objects found in rhymes and fairy tales--I've felt inspired to make digital felt board versions of some of the felt rhymes and stories that would be too cumbersome for my limited artistic abilities (and patience). When I make a series of felt boards that I intend to share in a particular order, I take screen captures of the boards I want to use and then add the images into a Keynote slideshow presentation. Easy peasy, all images are in the correct order and ready to share. The captain cried, "Yo, ho, ho, ho!" With a toss of our song cube, the kiddos and I sang "grey squirrel." Many a caregiver thought it was utterly adorable and took photos of their little ones shaking their bushy tails. I've found that kids really like the whole idea of the song cube, so I've started doing two tosses (and two songs) in a row. Our second song was the perennial favorite "Head, Shoulders, Knees, and Toes," and as soon as they knew the song we would sing, the kiddos launched right into it. 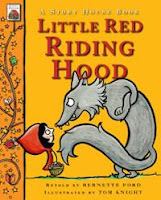 As part of my ongoing goal to share folk and fairy tales with the little ones, I pulled this newly-released version of Little Red Riding Hood to share at our story morning. The clean illustrations are great for crowds of varying sizes, and the pacing of this classic story never fails to enthrall. Each time I share such a "common" story, I find that it seems more and more children haven't heard the tale before--and those who have are happy to see another telling. What's not to love about a song that lets us work on our marching, our shaking/shimmying, and our turning around/twirling? Always a hit. I had two teen volunteers in the room for this particular story morning, which meant I had help in passing out the milk and cookies to the kiddos. While the volunteers poured the milk, I went around with alphabet-shaped cookies--perfect for reinforcing letter knowledge. The biggest hit at play time on this particular day was definitely the play food station I set up. I put out play dishes, play sandwich fixings, and play pizzas, and boy oh boy did the kiddos get down to business making meals for everyone in the room. Vocabulary was absolutely soaring--I heard talk about foods, about drinks, about how to make foods, about kitchens, about family members and what they like to eat. The only time the chatter stopped was when we had to pretend eat our meals and sip our drinks. These play food items are temporarily at my branch while I process our district's early literacy play kits after their first year of branch-to-branch travel, but I will certainly be looking to have some play food items at my branch permanently. I drove over to the newly-renovated Central branch of the St. Louis Public Library last night for a middle grade author event. Three authors were assembled: Catherine Jinks, Catherine Gilbert Murdock, and Jasper Fforde, all of whom are masters of, among other things, world-building. As I listened to the authors talk about their processes, their inspirations, how their characters and places come to life, I kept making lots of connections. One of the benefits of reading in volume, it would seem, is that books become linked and interconnected across genres and publishing date--lots of great titles to pair with others to make the readers in your life happy. My favorite sound bite from the evening came from Jasper Fforde. In response to an audience question which I cannot quite remember with accuracy, Fforde began talking about how once a book is shared, even with a single person, it is no longer just the author's creation. As more and more people read the book, it becomes the book of all those readers. Which means, posited Fforde, that if a reader really, really loves a book, the author shouldn't get all the credit for making it a great book; the reader should get ample credit, too. With all of the talk of the excellent world-building among the novels of these three authors, it would be easy to attribute all genius to the writer. But not so--the writer creates, but the reader envisions. The writer draws the map, and the reader resides within the story. It is that partnership, that working together, that makes for a truly great book that resonates. What does that mean for librarians like me? It means I should give readers credit for the joy they find in the books they love. Readers are active participants in the world of the book, and it is their participation that makes the story so rich for them. I should give readers credit for the interactions they have with any and all books, whether they are books I would love as deeply or not. Giving readers credit means asking young readers not just what they liked and didn't like about a book, but also asking what it was like for them to be within the story. Asking this sort of question can help me to provide better readers' advisory to young readers as well; when I understand how a reader can engage with a story, I can start to make deeper connections to the sorts of books they may like beyond simple genre and standard appeal factors. Think this concept of giving the reader credit for the experience of being in the book is utter nonsense? Try this thought experiment: call to mind your favorite book, and actively try to remember what the experience of reading that book is like; the interacting with the characters, the watching as the story unfolds, the very real, very visible settings. The author did some of that, but you make it real for yourself. Those are the books you fall in love with, the real ones. Give yourself some credit. This Friday, September 20, Jennifer Hopwood from the Southern Maryland Regional Library Association and I will be presenting a session for the Global 2013 STEMx Education Conference. Our session, titled Informal Library Youth Programs, will focus on the variety of ways public libraries are promoting STEM through programs and readers' advisory, as well as opportunities for collaboration between libraries, educational institutions, and other community players. We'll be presenting at 11 a.m. Pacific Daylight Time, and registration and attendance are free and simple. All sessions, including ours, will be archived for viewing at a later date. I'll also be posting session info and resources here on the blog following the live event. If you're at all interested in the topic of STEM/STEAM, you should join us for the Global 2013 STEMx Education Conference, the world’s first massively open online conference for educators focusing on Science, Technology, Engineering, Math, and more. The conference is being be held over the course of three days, September 19-21, 2013, and is free to attend! STEMxCon is a highly inclusive event designed to engage students and educators around the globe and we encourage primary, secondary, and tertiary (K-16) educators around the world to share and learn about innovative approaches to STEMx learning and teaching. More information at the conference website, http://www.stemxcon.com. We work together to say the letters in every child's name; children write their names on a small paper plate (tactilely more interesting to them than nametags, I've found), so all the adults in the room have a cheat for name spellings. 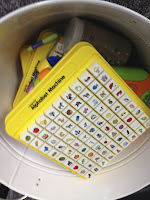 We play an "I Spy" game using our alphabet rug in the program room; I name an object featured on the rug, and the kids search for it and identify the letter it starts with, also shown on the rug. 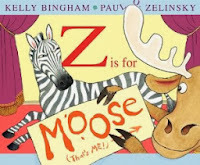 Z is for Moose by Kelly Bingham is for slightly older, more engaged audiences, and we talk about the letters and objects we see on each page. With younger children, I usually do a picture walk through G is for Goat by Patricia Polacco, demonstrating that you don't have to read a story fully for it to have a positive literacy impact. 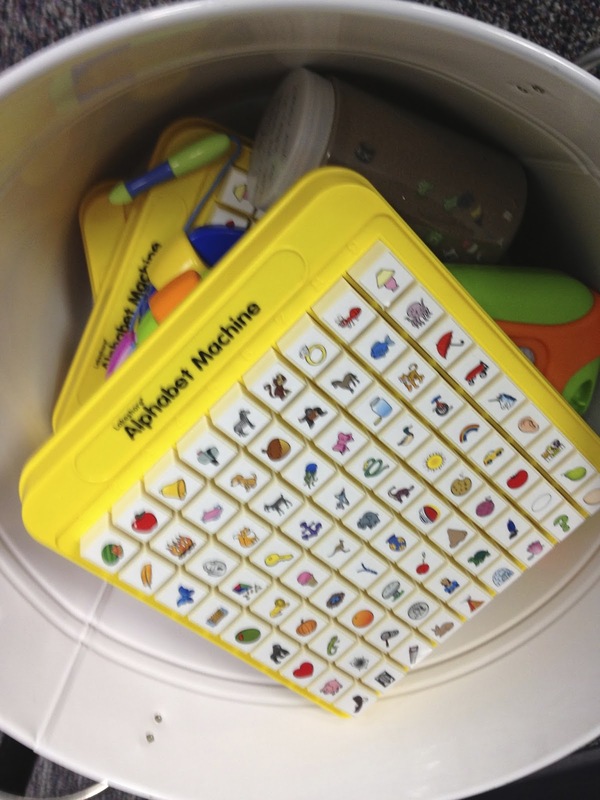 I set out alphabet-reinforcing toys at the beginning of the program while families trickle in: alphabet machines, doodle boards, and an I Spy bottle. 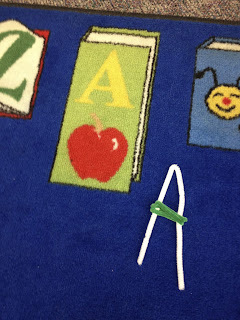 We play with pipe cleaners to make the letters in our names. Lots of exercising those fine motor skills! We sing the letters of the alphabet to the tune of "Mary Had a Little Lamb," a trick of Saroj Ghoting's to help children hear the differentiation between all 26 letters--no more amorphous "ellemmennohpi." We make an ABC parade; using the alphabet rug as our guide, we parade along the letters of the alphabet, naming them as we go. We sing "Willowby Wallowby Woo" with the silly assistance of a Horton the elephant stuffed animal. We practice making letters using shaving cream as our medium. I fill sandwich-size zipper-lock baggies with a bit of shaving cream, then seal the tops with duct tape. Ta-da! Trace and erase! 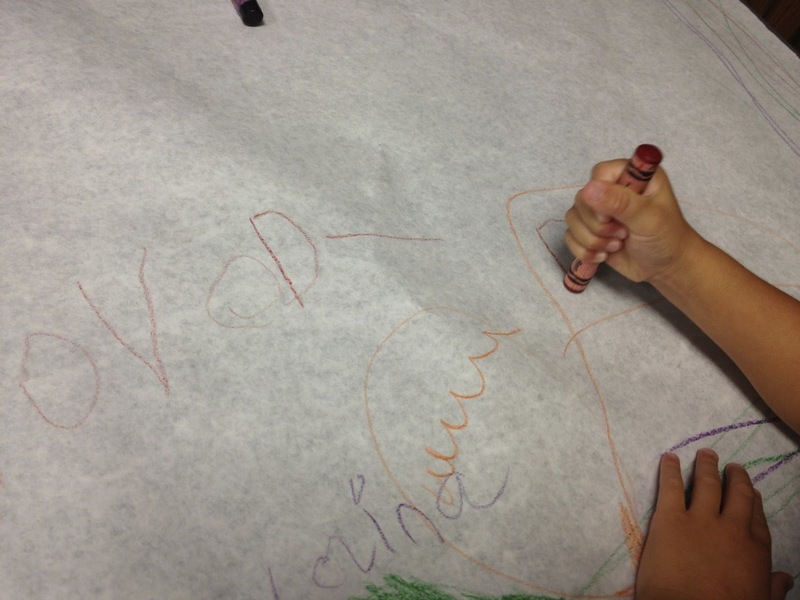 With butcher paper covering our program room tables, kids get to use crayons to draw all over the tables. Older children work on their letters while others create a comfort with writing. These activities keep kids pretty well engaged and excited while their caregivers get a bunch of accessible early literacy tips they can take home, and we all get to have some fun with letters! Have you offered a variation on the "Fun with Letters" ECRR2 workshop? What activities have you used to round out the workshop? One of the many things I love about my job is the professional community that goes along with it. On busy or tough or downright frustrating days, I know that I'll find motivation and new energy as soon as I see what my peers are up to. Twitter, blogs, conferences, webinars--it all helps me recharge my library battery. And it's because you speak up. I see so many youth librarians who are incredibly passionate about what they do, and because of that passion, they speak up. They speak up for the underserved children in their communities. They speak up to share ideas for new programs and services. 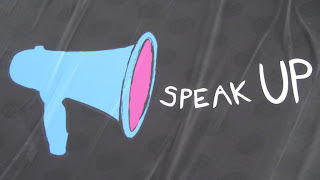 They speak up when they think a training--in programming, in readers' advisory, in early literacy--will help staff and the library, and they speak up when asked to make that training happen. Passionate youth librarians speak up because they know that what we do is important. So, today, I just want to remind you--yes, YOU!--to speak up. Do you have an idea for a new program that fills a gap in what you currently offer? Speak up! Do you see an area of your service population that isn't being reached by library marketing? Speak up! Do you see other libraries offering a service that you think your customers would love? Speak up! Bring your concerns and your ideas to the table; speak up and provide an impetus to keep libraries fresh, engaging, and relevant. Speaking up isn't obstructionist, it's productive; it gets conversations started in the library world. It demonstrates that you care enough about your organization and the work you do to always want to do your best. When you speak up, it's inspiring. It makes libraries stronger. Every once in a while, I share a day in my library life here on the blog. I love getting to read what other librarians' days are like, with full recognition that no two days are ever the same in this profession. Case in point: my Thursday of last week. 8:50 a.m. - Arrive at the municipal building one town over in advance of a training. Chat with colleagues from other library branches before the training begins. 9:00 a.m. - Performance Evaluations training. Several staff members from several of our library branches, as well as from other county and city departments, participated in this three-hour training that included strategies and advice for conducting effective, legal performance evaluations. I think trainings like this are particularly helpful, especially when working in a collaborative workplace where many employees consider themselves friends with supervisors. It's always good to get some reminders on keeping performance evaluations objective and productive. 12:00 p.m. - Brief meeting with my branch manager and circulation supervisor. 1:00 p.m. - Early Literacy Task Force meeting over lunch. This Task Force consists of three children's librarians, each of us from different branches. We meet regularly to coordinate early literacy initiatives for the entire library district, including trainings. Our agenda for the meeting included planning a winter training on childhood brain development; making plans for proceeding with year 2 of our Early Literacy Play Kits; ideas for library-branded ECRR2 signage; and discussion about hosting an all-county playdate next summer. We also brought the newly-hired Extension Services Specialist for the district up to speed on what we do. 2:30 p.m. - Head over to the library branch that will host an author event I've coordinated. 3:00 p.m. - Since I have time before needing to get up to the room for the author event, I head to the children's services office to check my e-mail and messages. Since this isn't my branch or normal workspace, I do my work on my iPad. I also chat with a colleague about goings-on at this library in both the children's and teen programming arenas. 4:00 p.m. - I head upstairs to the large event space and start to get odds and ends prepared for the evening's author visit with Peter Brown. I spend some time verifying his bio and awards, then I write the introduction I'll give to start the event. 5:40 p.m. - Folks start to arrive for the author event, and I help direct them toward the table to purchase books. I also talk with folks about other upcoming author events. 6:00 p.m. - It's go time for Peter Brown's author event! 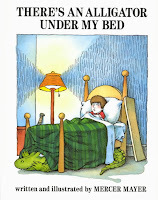 Peter Brown is one of my favorite children's author/illustrators to work with. His presentation is always engaging for audiences of any age, he happily talks with kids while signing books, and he's overall pretty low-key about visiting libraries. His presentation, which tied into his just-released picture book, Mr. Tiger Goes Wild, got lots of laughs and questions from the audience of 113 people. 7:30 p.m. - The final book signed, it's time for Peter Brown to head to the airport so he can be in his next city for his next event the next day. It's hugs and handshakes all around, and then a few library staffers and I stay to finish cleaning up the event space. 7:40 p.m. - I head home after a long day full of a variety of fun, productive, and insightful activities. Note that I didn't even step foot in my own branch library for the entire day. Rest assured, my desk reflected my absence the next day, with plenty of piles to indicate I'd been missed. My preschool story times don't usually have a craft component anymore. That has more to do with the types of preschool programs I do: outreach, where it's a large group story time with no space or time for craft; preschool science, where we do hands-on experiments and activities after sharing a story; and Milk & Cookies Story Morning, where our post-story time activity is free play time. Basically, the only opportunities I have to offer a craft in a preschool story time program are when I'm offering a special one-off program or filling in for a colleague on vacation. And in those instances, I am all about the process art for preschoolers. A simple breakdown of "process art": an open-ended art activity that focuses primarily on having the children involved in the process of creation. Process art is an alternative to "product art," wherein the focus is on each child creating the same basic craft modeled after a sample. As the names suggest, one is about the creative process, and one is about the final product. I love process art for preschoolers for a number of reasons. First, studies and experts have proclaimed that process art is the most developmentally appropriate art activity for preschool-age children. These young children are building their background knowledge of everything they encounter, even craft supplies. Through process art, children get to really explore what paint is, what it does, how it feels, how it works, and what they can do with it. They can experiment with how colors interact, what happens when crayon and paint mix on the page, how to place paint where they want it on the page. 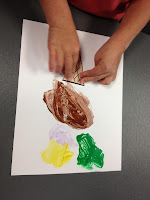 Process art allows preschoolers to gain hands-on knowledge of how art works. Process art also more deeply involves preschoolers in the creative process, giving them more pride in what they create. Basically, preschoolers don't care if the butterflies they make looks like the librarian's butterflies. They are more involved in creation if they get to decide where to place the spots or stripes, what colors to make the wings. Allowing children to create according to their own visions provides ample opportunities for discussion--why did you use those colors?--and the very personal finished product means something to the child. He or she made it in its entirety, which is a definite matter of pride. That's opposed to product art activities in which preschoolers often need adult assistance to make the cut-and-paste replicas of a sample craft. Making a copy just isn't as engaging. Process art is much more personal. I will quickly note here that, sometimes, caregivers do care what their children's artwork looks like, and they prefer a picture that is obviously a ladybug to hang on the fridge than a red blob. These caregivers prefer product art for the wrong reasons: aesthetics over engagement. I've found that a few simple statements shared during craft time help caregivers see the whys of process art, and it makes them appreciate their children's creations much more. We share early literacy information for caregivers' benefits, and sharing similar information on art activities isn't that different. Process art is also great from a story time provider's standpoint. Process art means less pre-program preparation, as activities don't require precise, pre-cut supplies and other specific items. Process art means setting out a variety of supplies and sharing loose parameters for free creation. 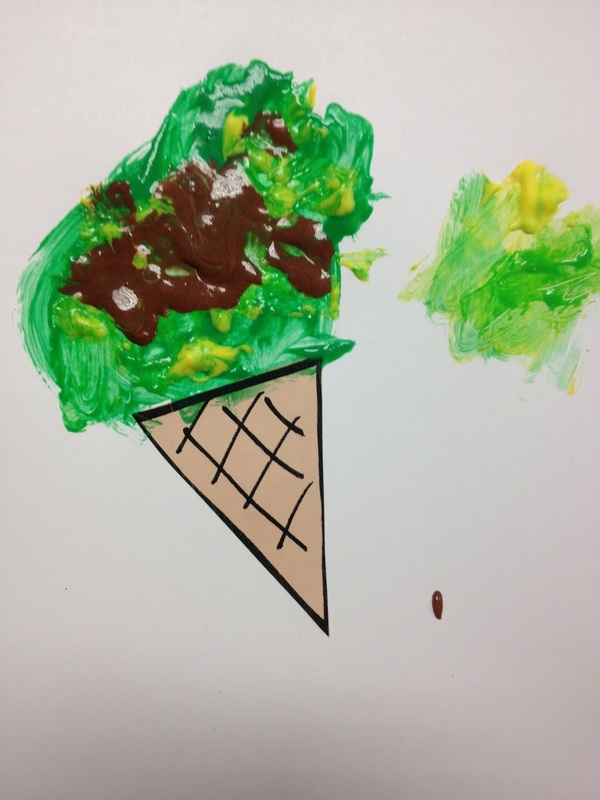 One recent example from a program I led involved painting ice cream cones. 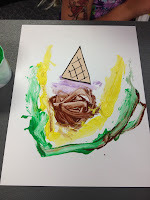 With white paper, brown paper for cones, glue sticks, and paint on the table, each child could paste a cone to the paper and then paint an ice cream cone that suited their imaginations. 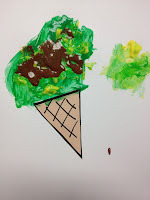 They all looked very different, and each child had wonderful things to say about what flavors they had painted on their cones. 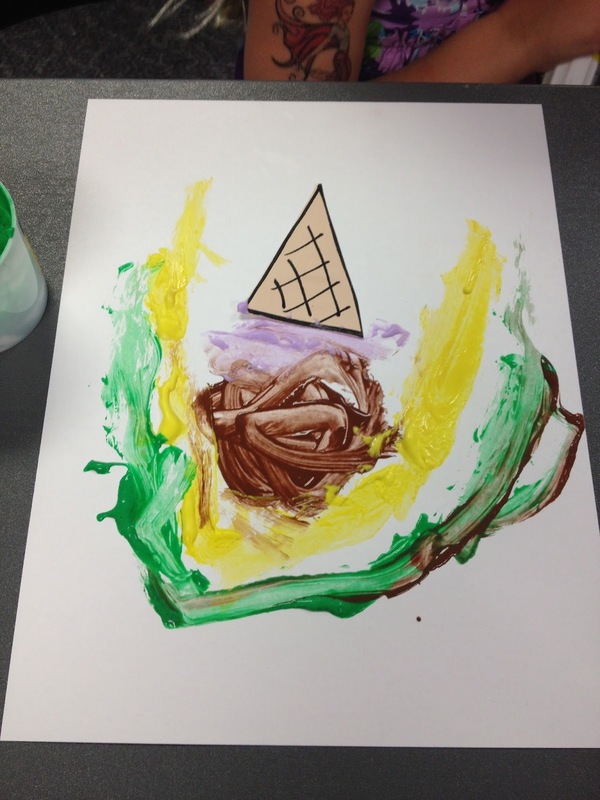 The parameters were basic--create an ice cream cone--but the rest of the craft was open-ended, allowing children to engage in creating an ice cream cone that they saw in their heads. While my library still offers product art activities for preschoolers every once in a while, for the most part my colleagues have transitioned to using process art in their programs. The creations have been diverse, although I think the hit so far has been painting with mud for a springtime story time; what's more engaging for a child, to paint a picture of mud or a picture with mud? Ask yourself that type of question for your crafts, and you'll come up with process art most of the time. First off, let me say: I think we, youth services librarianship, do early literacy pretty darn well. Sure, we have room for improvement, could use more trainings and refreshers, would benefit from professional development and conference sessions on early literacy programming. But, for the most part, we do a pretty good job of understanding and meeting the need for early literacy programming. That said, I think our (necessary) focus on early literacy programming has caused us to (unnecessarily) leave school-age programming by the wayside. It is part of my personal philosophy of public library service that public libraries should offer diverse programming options to school-age children. In many libraries, these children age out of preschool early literacy programming and don't have much to look forward to at the library until they're old enough to enjoy the teen programs that libraries have been building over the past decade. Occasionally there's a craft, and maybe there's a LEGO Club--both great programs for sure. But that's not enough. School-age children are at this wonderful age in which they are really starting to become their own people. They spend significant portions of their days away from Mom and Dad, be it at school and/or activities, and this time away helps them to see and experience things from their own personal perspectives. School-age children are starting to develop their own personal interests, and public libraries should help them develop these new interests. We should offer them programs in which they get a taste of science, of history, of fantasy, of mythology. 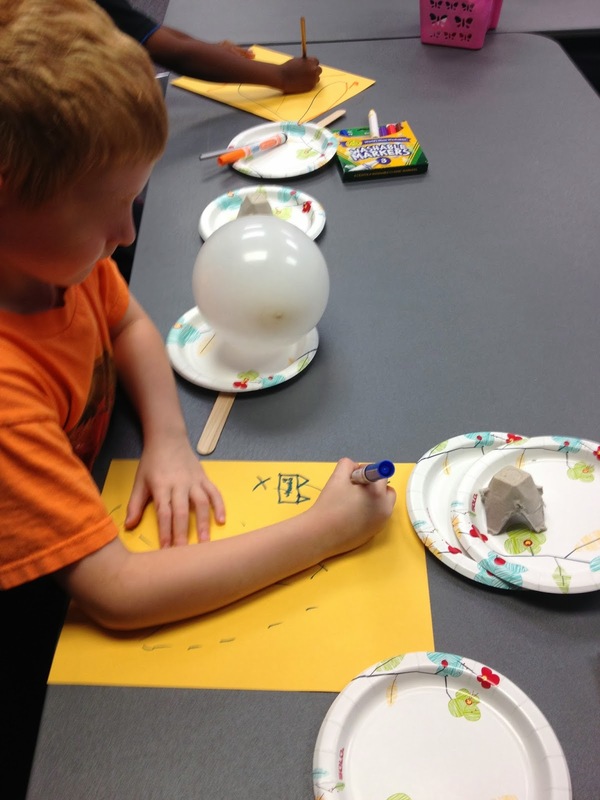 We should offer them activities in a program setting to really explore topics and ideas they may not have really interacted with before, like building and mummification and zeppelins and every interesting thing about the world. We should offer school-age children programs in which kids can discover, learn about, and celebrate their interests with their peers. I very strongly believe school-age programming is something that every public library with programming services should provide. To that end, I have a few things to say to the key players in making school-age programming happen. Librarians and other library staff who plan and lead programs: Make school-age programming a professional goal. Think about the level of programming you currently provide to preschoolers and/or teens and then try to help school-age programming catch up in terms of number of options. Offer a combination of recurring programs (Kids Advisory Board, book discussion club, LEGO Club) and stand-alone programs at times that work for your community. Make sure to include literary elements or other ties to your library collections in your programs; after all, programming is about building a love and use of the library. And when it comes to planning programs, please don't feel like you have to go it alone. Use the myriad of terrific resources that exist, from blogs, conference content, and Pinterest boards that share great school-age programming ideas. Better yet, use your personal learning network. Ask your peers what's worked for them, and then think about modifying it to fit your library's needs. There are so many amazing programs out there (here's a post that shares just the tip of the iceberg of my go-to sources of inspiration) that you need never start totally from scratch unless you want to. 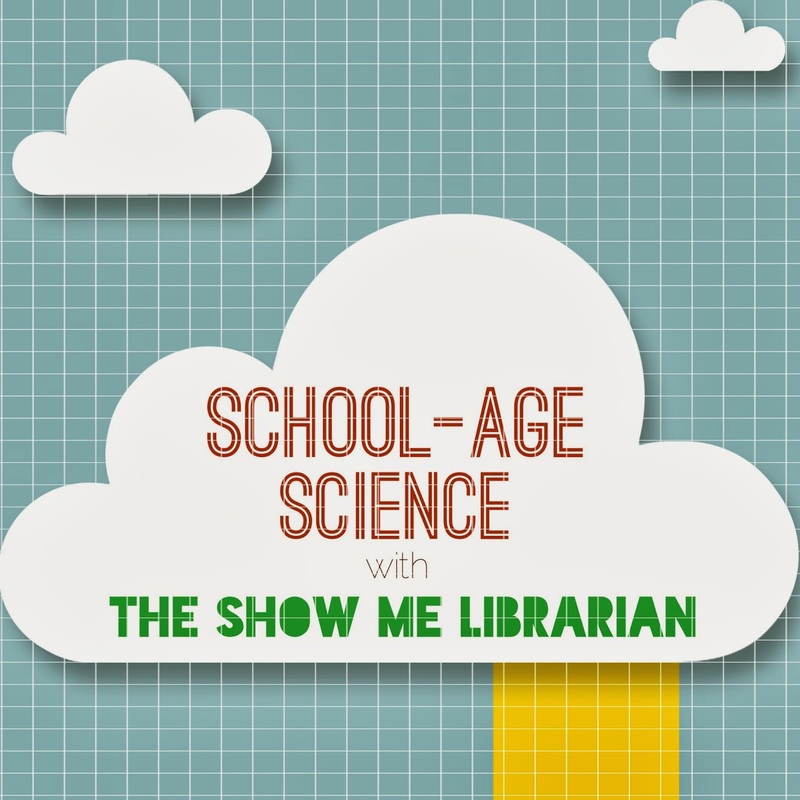 Library managers and administrators: Make school-age programming an institutional priority. There's no good reason for the continuum of library services to drop to minimum levels when we talk about grade schoolers. In fact, it's good business sense to offer free, fun activities for children this age--practically every other activity these kids might participate in costs money, from scouting to sports to arts lessons and classes. 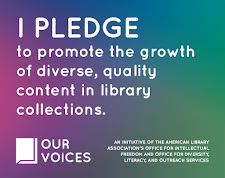 Having free alternatives readily available at the library not only levels the playing field in terms of who can participate, but it also sends a very important signal to caregivers that the library is here for them and their families' educational and leisure needs. There are few ways to so quickly become a vital institution in the eyes of parents. Folks with influence in library staffing and hiring: Where are the school-age specialist positions? I love how more and more libraries are crafting specific early literacy specialist positions; what a great resource to have on staff, someone who can do all the things a youth librarian does and additionally offer early literacy-specific program planning and training. Pat yourselves on the back if you've hired one. But the school-age service area requires just as much focus. Imagine your library with a school-age specialist: that's a librarian who can create diverse programming options for use in multiple settings; who can serve as point person on educational initiatives that impact the library, such as Common Core; who can develop frameworks for services that help children achieve their developmental assets; and who can train colleagues to more effectively reach their school-age customers and their families through programs and services. That's a librarian with the capacity to add significant value across the whole institution, and yet not many libraries have thought of hiring one. It all comes to this: all school-age children with access to a library should have the opportunity to enjoy regular, age-appropriate programming that interests them. Access is an entirely different issue in and of itself, but when the library is there, it should offer activities for school-age kids that kids want to attend. We need to better serve these young customers. We need to talk about school-age programming.